SpriteKit makes it easy for anyone to make a clean and beautiful game. That’s why we built our newest game Escape Code entirely in SpriteKit. In honor of launching Escape Code, we are highlighting other developers that use SpriteKit. Check out below beautiful examples of what SpriteKit can create. What is your favorite game built with SpriteKit? Escape Code – Amazing NEW puzzle adventure game! Say Hello to our best sale ever. Escape Code – Coding Adventure puts coding, technology and artificial intelligence into a fun but challenging environment. Do you like Criminal Case, Can You Escape and Walking Dead? You’ll love Escape Code – Coding Adventure. Help! Max gets locked in the #1 tech factory in the world over holiday break. This is so unfair. All employees have left – haven’t they? 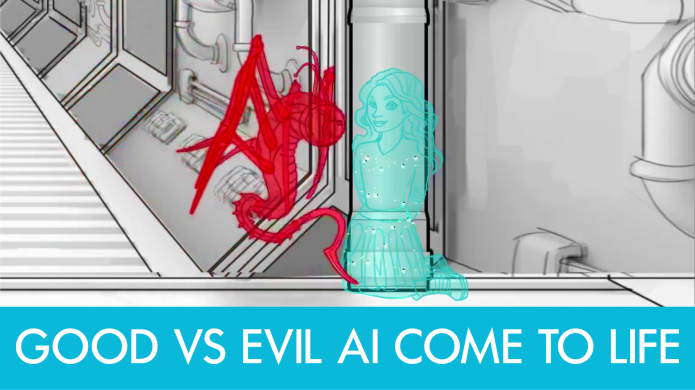 Max must stop an evil Artificial Intelligence from destroying the world! Only you can get Max out. Meet a good AI that needs your help. 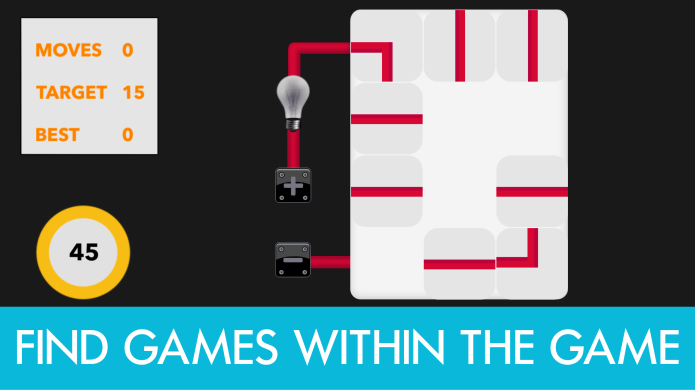 Solve puzzles and coding problems to save us all and escape! To help fund Escape Code – Coding Adventure, you can get it cheaper than retail price here on Indiegogo. Once released on the App Store, the game will be more expensive. We will release Escape Code very soon. Don’t miss your chance to get the game before everyone else – only on Indiegogo. Escape Code has been in development for years. We are excited to share it with you, but we need your help on Indiegogo for funding. Development has been a long and arduous process. We’ve polished the game for many months. I started coding in 1997 and have made tons of games over the years. I released an XBox 360 game in 2010. I’ve prototyped games and ran a tech business ever since. I made Escape Code to realize one of my major life goals. I wanted to make an innovative game that involved coding. But I didn’t want to make it overly educational. That’s why Escape Code is an adventure game where all learning is tangential. The main focus is the escape story. I have fun when I code, and through Escape Code you too will experience the joy you can get from coding. We stand out because we made Escape Code entirely in SpriteKit. SpriteKit is Apple’s official game engine. SpriteKit is robust, but few developers make games in it. It’s a new framework. We’re excited to see SpriteKit grow. Be an early adopter by being the first to play Escape Code! One of the biggest games made with SpriteKit– likely the biggest. We made Escape Code exclusively on Macs. Our game will look stunning on your Mac. Do you like escape room games? Escape Code is like an escape room from the comfort of your own home. Built, designed and optimized for a clean adventure quest experience. You will not have to tediously type ANY code. We took a year to perfect our game in Apple’s exciting game engine SpriteKit. We chose Apple’s official programming language Swift for the game’s coding challenges. You do not need any coding experience to play Escape Code. Important: this is Mac-only. Unfortunately Apple doesn’t accept coupons for iOS. Through Indiegogo we will deliver the Mac app version of Escape Code. You can be ANY AGE to find something in Escape Code for you. If you have coding experience, you’ll have double the fun. Find our computing Easter eggs! Brush up on your binary. And watch out for plot twists along the way. How will Max’s story end? You can only find out by playing! Explore the TERA factory. Accept brain challenges the artificial intelligence throws at you. Play hours of engaging fun. Escape Code is compact and will keep you entertained without droning on for a long time. Stay engaged for the Goldilocks span of time – perfect. Pledge to our Indiegogo while it’s available. This deal will end soon. A unique game like no other. 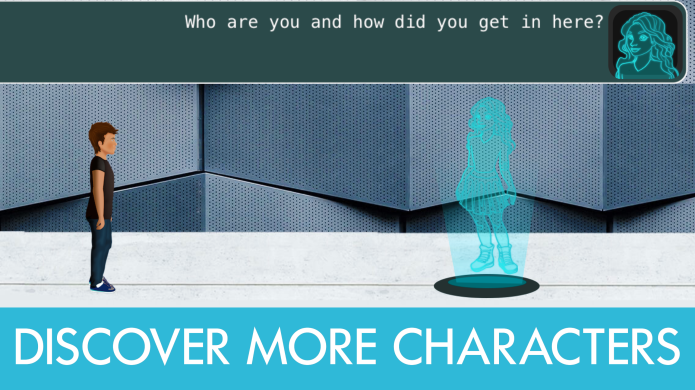 Escape Code is a challenging adventure game with a coding mechanic tied into plot. We won’t force you to learn to code. Max will learn a thing or two about coding along the way. Our coding feature is one of a kind. There is no other SpriteKit adventure game with such innovate mechanics. Get free access to our online school. Pledge now to get Escape Code for Mac. You’ll ALSO get lifetime access to Mammoth Interactive courses and games. 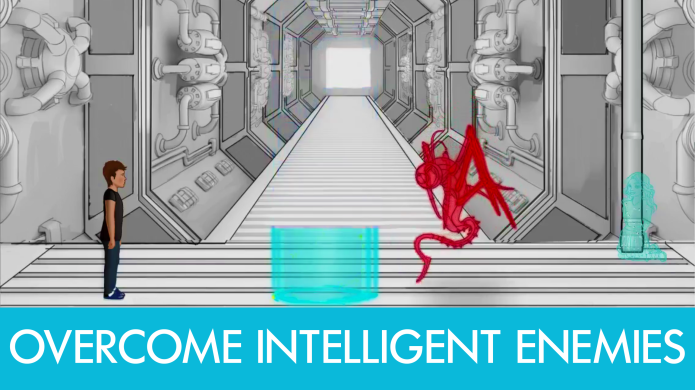 We at Mammoth Interactive innovated the technology sphere with cutting-edge tutorials. But we’ve always been gamers at heart. By making tech tutorials we prototyped tons of mechanics that led to Escape Code. Pledge $109 or more to ALSO get an Escape Code t-shirt. We designed this limited-edition shirt. You can’t buy it anywhere else. 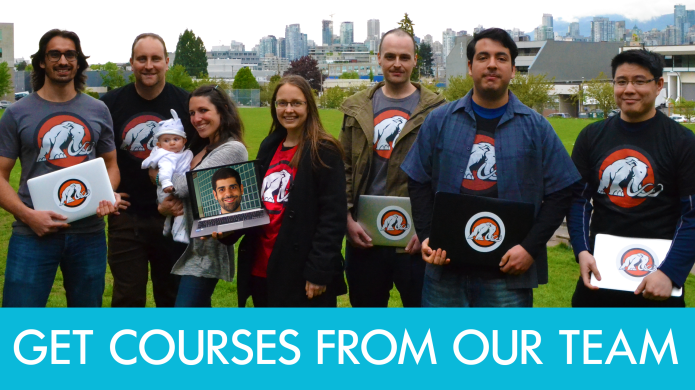 Wear your Escape Code Indiegogo shirt to show your support for online learning. Meet and recognize other games fans everywhere you go. Get tons of rewards for pledging. If you pledge 32$ or higher you will also get our game Pluvo. We published this minimalist puzzle platformer in November 2017. 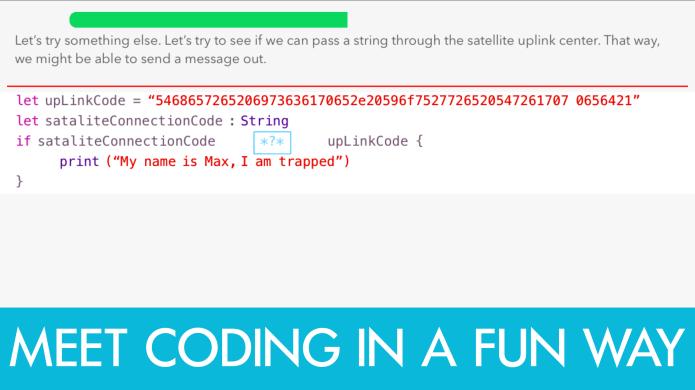 Now we are back with Escape Code – Coding Adventure! With your help we’ll be able to make more games. 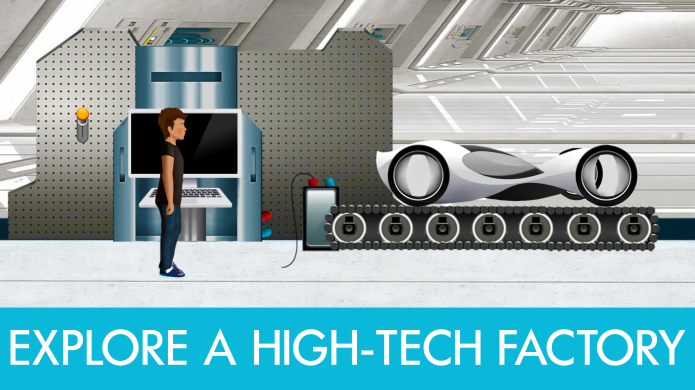 Your pledge will reward you with in-demand tech skills. You will learn skills for which employers seek talent every day. John Bura has been programming games since 1997. John is the owner of the game development studio Mammoth Interactive. Mammoth Interactive produces XBOX 360, iPhone, iPad, Android, HTML 5, ad-games and more. We have a long history of making game-related and tech courses. We have included them in this Indiegogo as rewards for you. John provides game design, audio, programming, level design and project management. He has contributed to 40 commercial games for companies including Nickelodeon. Several games John produced rose to the Top 10 in the Apple’s App Store. He has a daughter named Charlotte. In his spare time, he likes to cycle, ski and play ultimate Frisbee. We planned to finish Escape Code in 6 months, but we doubled the time. We needed a bigger team of talent to make the best game possible. Our designers have years of experience. We collaborated with creators around the globe to make beautiful art and music. Our master team made a pleasing aesthetic. There’s something to notice at every step through the game’s TERA factory. We are almost ready to launch Escape Code on iTunes. Got questions? Feel free to comment on our page. We respond Monday to Friday excluding weekends and CAN/US holidays. 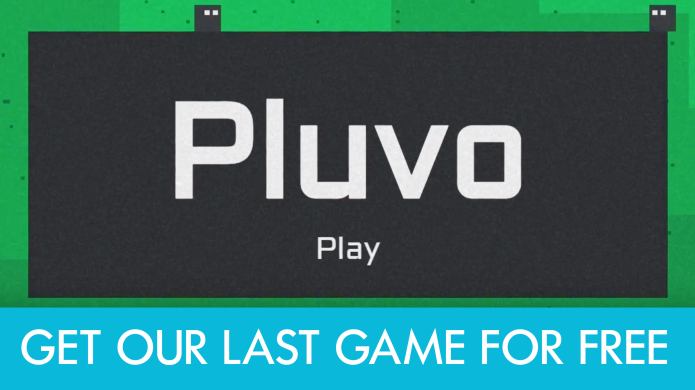 Mammoth Interactive has released a brand-new game: Pluvo! Pluvo is a simple minimalist puzzle platformer you can finish in one sitting. This pay-once, own-forever game is a must have for anybody who likes simple and short puzzle platformers. Please note that this app is currently only available on the App Store for iOS devices. 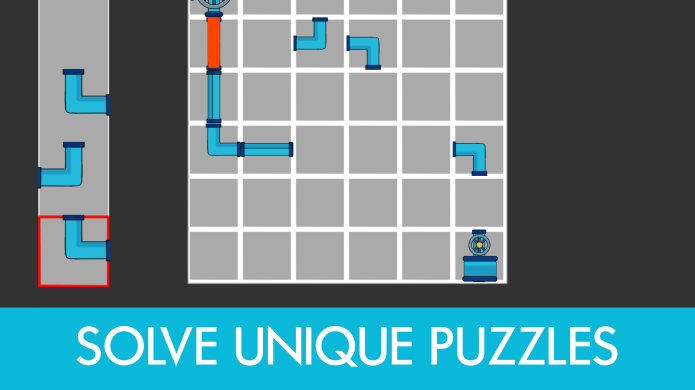 Solve each level’s maze to collect the key that will transport you further along. No micro transactions or ads. Simply pay once and pick up this game whenever you want to relax and work out your brain. Come play this enjoyable game! If you are sick of micro-transactions, this game is for you. Simply buy it and own it forever. Pluvo is a puzzle platformer with intuitive controls. There is no on-screen D-Pad. Explore the minimalist aesthetics of this rainy box world! Complete levels, collect power-ups and evade enemies.